The post Insignia Wi-Fi Smart Plug Review appeared first on OneTechStop. In a recent post I discussed how I outfitted my house with Google Home and Home minis. Shortly after that I decided to pick up my first piece of smart home tech. 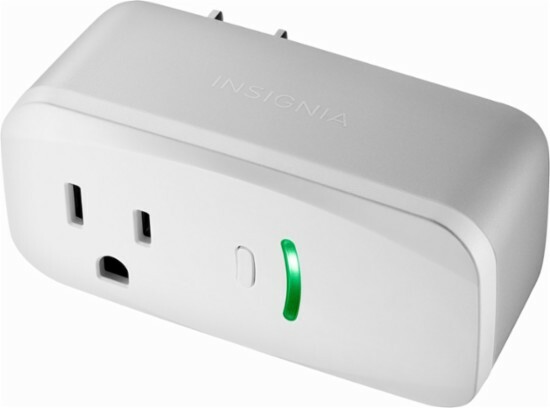 That was an Insignia Smart Plug with Power Metering, which I picked up from Best Buy for $19.99. I wanted something that would get me started for a reasonable price, just to see what else I could do with my Google Assistant enabled devices besides use them as glorified speakers. My idea of a “bargain” quickly turned into a nightmare. The instructions were simple enough, take it out of the box, install the app to my phone, and follow the prompts. That 5 minute process took a whopping 3 hours. I am not exaggerating, I started at around 6pm and after going through the steps on the app, calling customer support, uninstalling and reinstalling the app several times, and attempting to download an older apk (at the time the app was at version 3.11.4 now it’s at 3.11.5 on Android) and nothing worked until, a few seconds I left the half hour long customer service call, the plug magically worked. The two errors I will post screenshots of below were errors I saw time and time again and I’m positive you will once you start setting up this device. The best thing I can say about this product is, after the plug is set up you don’t have to worry about the device randomly disconnecting. I may accidentally turn off the light switch that outlet is connected to and it will quickly reconnect to the wifi network. You can also set the device into one room, unplug it and move it to another room you want to use it in. The device is also very easy to connect to your Google home and it turns the power off when told to very quickly and turns power on moderately quickly. It is more convenient than getting up and flipping a switch and marginally faster. My advice to you is, before buying any piece of technology look at the reviews, and greatly evaluate just how much a few dollars is worth your patience and time. Looking back now I would have gladly paid an extra $10 for a Wemo plug or something like that, however I wanted to tell you all about the experience I had and how sometimes the extra time and care a manufacturer puts into their device can me worth the few extra dollars you pay. We want to hear from you though, what was a time you cut corners with tech and wish you had invested the extra money? What advice would you give to others looking into new pieces of technology? Leave your comments below!